10 MB limit – Devs can now get their apps under 10MB much more easily. This allows them to take advantage of users downloading over the carrier networks and not wi-fi. They can offer more content via in app purchase and make up the difference. Rankings – It will be curious to see how Apple changes the rankings over time. “Top Paid” and “Top Free” just don’t really don’t make sense anymore with this model. Will they make “Top Freemium” or something equivalent? Infrastructure – Developers have to deal with content delivery and updates to that content. Apple handles the transaction in the normal fashion and takes their 30% but then they leave it up to the developers to actually get the content to the iPhone. What if there is a bug in the content? The developer has to deal with making sure the user is notified of the update and then initiate the update. Piracy – There has been a lot of talk about how this may help fight piracy but I think the numbers will tell a different story. 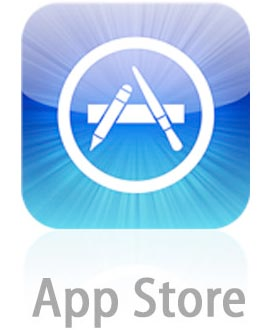 Apps as content – The deeper story relates to the transformation of the app store into a content store. I made that prediction a year ago but had no idea how it would happen. In the long term I expect Apple to merge the iTunes music/video content management system with the app store content management. This way you could buy music/video/books/games from within an app and have it available through your iTunes UI. Addiction – “Apping” as the activity of using iPhone apps has come to be known, is already something that did not exist a year ago but has proven to be wildly useful/common/profitable. Only a year has passed and we are already in the realm of uncharted waters.